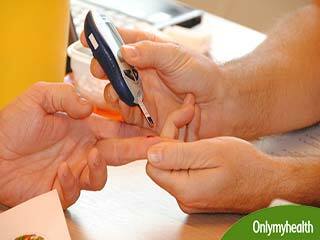 Diabetic’s feet should be inspected for ulcers, blisters, lesions and cuts. An elderly diabetic's toe nails must be cut and kept clean. To prevent damage to the feet, blood sugar levels must be maintained. 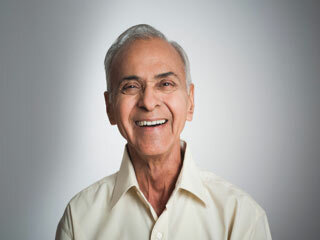 Foot care for diabetics is an essential step that needs to be taken, and this is especially true for elders. Why? It is because by being callous about your foot you increase the risk of serious foot complications, which may also lead to amputation. The problem faced by elderly diabetics is that they may not be able to take care of their feet all by themselves, given their age and drooping energy levels. In a study published in Oxford University Press had revealed that almost 87 percent of elderly diabetic participants were not able to treat their own foot complications. It is therefore very important for health care providers and family members to extend a helping hand to reduce the chances of feet complications for the elderly. Here is a guide that will tell you how and in what way an elderly diabetic patient should be helped with his or her feet complications. Needless to say that this should be one of the most important ways to take care of a diabetic’s feet. An elderly diabetic’s feet should be inspected daily for signs of ulcers, blisters, lesions, cuts and swellings. There should also be a time set apart daily for cleaning the foot with warm water, making sure that you do not go too harsh on scrubbing them. Also, warm water does not mean hot water as that would cause burns and diabetics often causes desensitization in the feet and so the nerve there would not be able to feel hot temperatures. Always apply a lotion to finish the feet care session, but never between the toes where there can develop fungal infections. Special attention should be given to the type of foot wear for an elderly diabetic. An elderly diabetic’s foot wear should fit well and must never be ill fitting. Ill fitting shoes cause corns, callouses, ulcers and nail problems, so please avoid this. Opt for soft leather uppers without seams as this will mould the feet and let them be free. Also by going for wide toe caps with depth the diabetic would allow room for the toes to wriggle. Always make sure that the insoles are soft and the linings have no wrinkles or seams. Shows must be free of any external object, like little pebbles and pieces of stones. Now we often do not pay much attention to the toe nails, and this is why we have decided to bring this to your notice separately. An elderly diabetic's toe nails should be cut and shaped to the end of the toes and not shorter than this. You should make sure that the nails are not cut from the sides. Always use a file on those sharp corners and rough edges and the nails may be easier to cut after a bath, but then again because they are very soft they would be vulnerable to breaking easily. So, you must be very careful. Finally this is the most important thing to be done for a diabetic. One must always monitor his or her glucose levels and maintain it through a proper diet and by taking all the prescribed medications. This can prevent nerve damage in the feet. 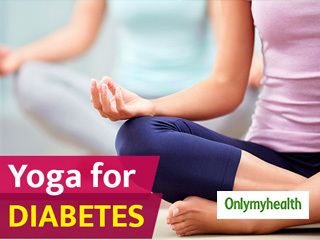 By maintaining proper levels of blood glucose levels in a diabetic there increases the chance of protecting the nerves in the body from getting damaged. So, please be very alert and go for regular tests. There is an absolute necessity for diabetics to visit their doctor or podiatrist regularly and getting information on caring for the feet. By going for regular checkups a diabetic can monitor his or her state of health.